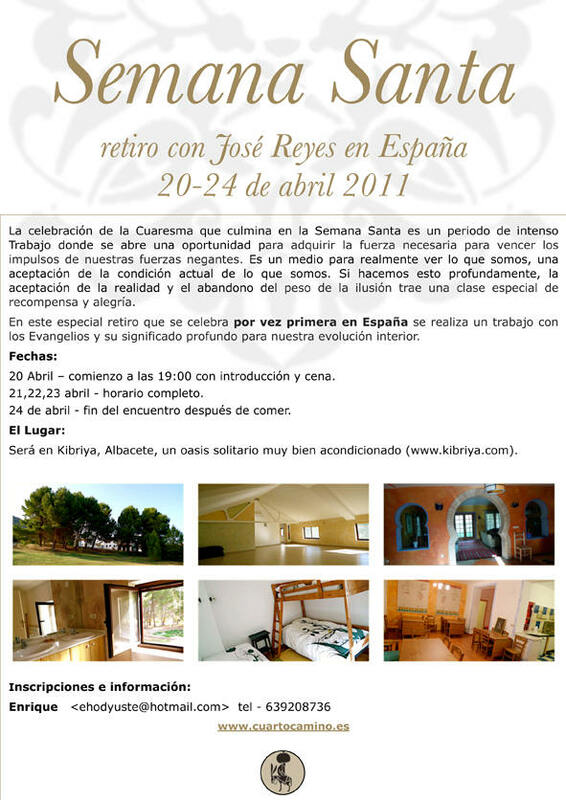 20 April 2011 - four days retreat in Spain. The celebration will be in Spain this year From Wednesday APRIL 20TH TO Sunday April 24. Please confirm you’re participation as soon as you can, because the capacity of the place is limited. April 20th – Begins at 6:30 pm with introduction and dinner. April 21th – Full day schedule. April 22th – Full day schedule. April 23th – Full day schedule. April 24th – Part day schedule – finish around 3 pm in de afternoon. It is a Retreat Place, situated in a lonely oasis in the midst of Castilla la Mancha, Spain, with capacity for 28 participants, very comfortable and pleasant place.